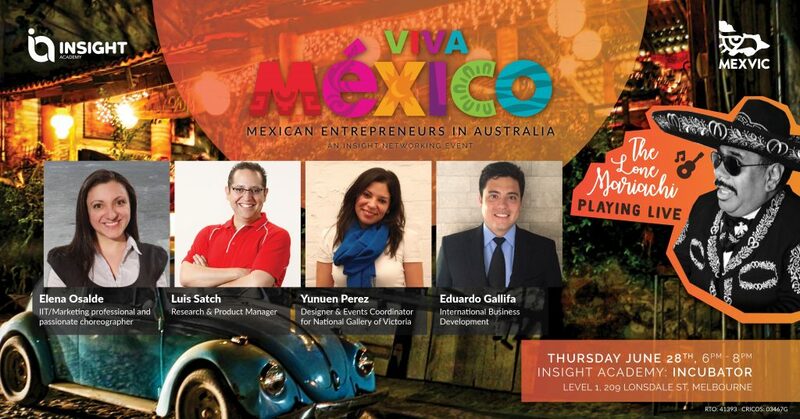 Insight Academy of Entrepreneurship & Innovation invites business professionals from Mexico across Melbourne to come together for the Business Networking Event. This event would be an excellent opportunity for professionals and aspiring business people to network with other entrepreneurs, create genuine connections, personal growth and expand your knowledge about running a business in Australia or Mexico! This presentation will be delivered in English!